James Humphries Hogan (1883–12 January 1948) was an English stained glass designer with the firm of James Powell and Sons. Also known as Whitefriars Glass, James Powell, were English glassmakers, leadlighters and stained glass window manufacturers. As Whitefriars Glass, the company existed from the 17th century, but became well known as a result of the 19th century Gothic Revival and the demand for stained glass windows. James Humphries rose from apprentice to be managing director of the company. In 1898, Hogan was apprenticed to Powell and Sons at the age of fifteen. He trained under Christopher Whitworth Whall, as well as under Powell and Sons designers William Aikman and John William Brown. Hogan continued to work for Powell and Sons throughout his career. 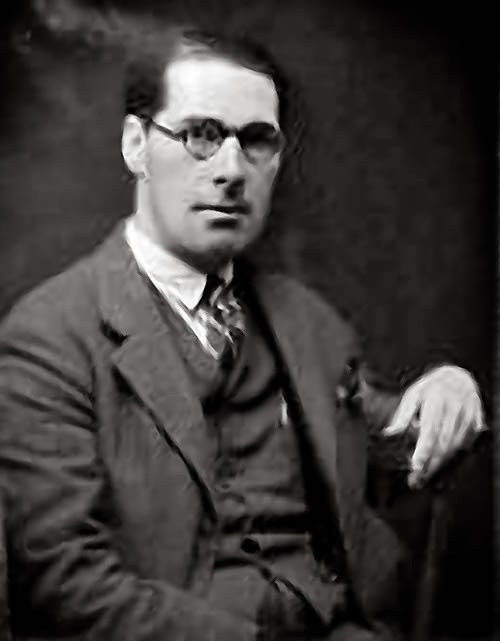 He worked his way up in the company, becoming Chief Designer in 1913, Art Director in 1928, Managing Director in 1933, and finally Chairman in 1946. Hogan traveled throughout the United States, as primary sales agent for the firm. In the period between 1926 and 1928, he produced a ten-fold increase in the company's stained glass sales in America, effectively saving the company during difficult times. Returning from a long sales trip to the United States in late December 1947, he collapsed on January 3, 1948, and slipped into a coma. He died on January 12, 1948, without ever regaining consciousness. 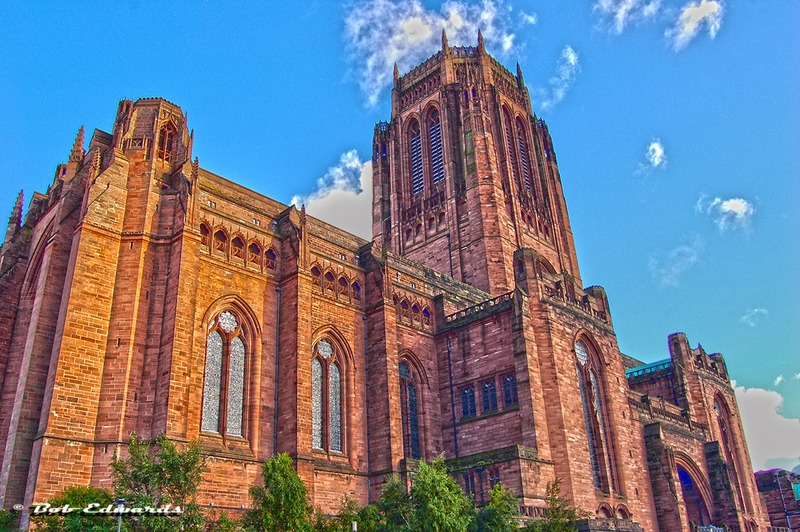 Hogan designed windows for several cathedrals in England including Hereford Cathedral, Rochester Cathedral, Exeter Cathedral, Carlisle Cathedral and Winchester Cathedral. 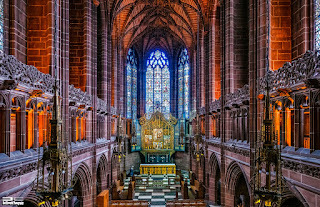 The finest of these are the two windows in the great central space of Liverpool Cathedral, where he collaborated with Giles Gilbert Scott, and the windows in Saint Thomas Church (New York City), which were fabricated between the World Wars. 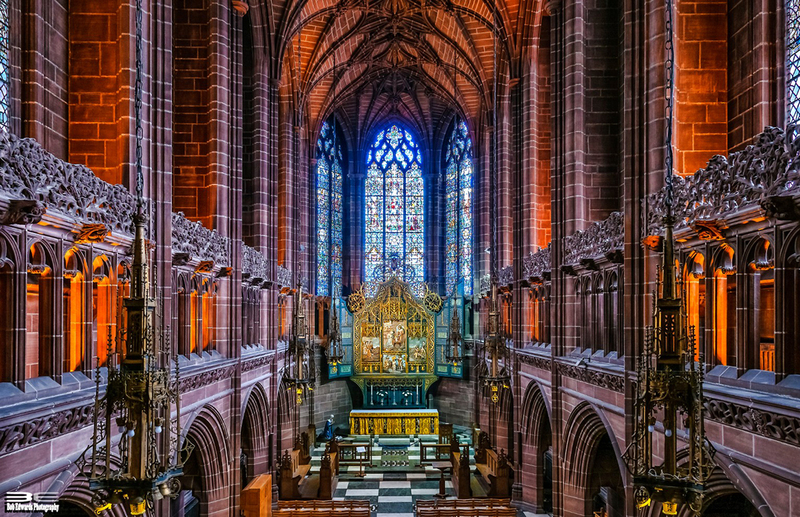 Also in Liverpool Cathedral, Hogan's glass designs were used to replace earlier Powell and Sons glass, designed by John William Brown, in the Lady Chapel. The chapel was rebuilt by Gilbert Scott to make good the damage from World War II bombing in 1940. Hogan made stained glass windows for a number of churches in America, including seven memorial windows in Grace and Holy Trinity Cathedral (Kansas City, Missouri) on the life of Christ. He also designed a set of commemorative bowls for King George V of England's silver jubilee in 1935.